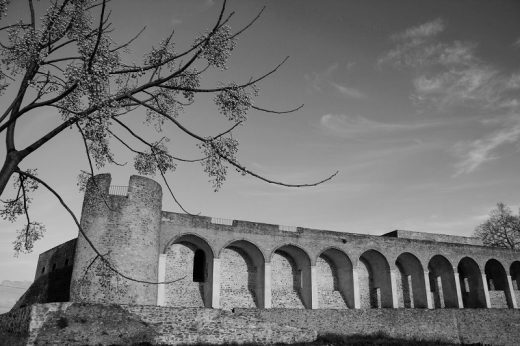 The portuguese city of Abrantes and the national Association of Architects (OASRS) recently launched the International design competition “Castelo de Abrantes”. The Competition aims to qualify and enrich the Abrantes Castle surroundings through leisure, cultural and touristic programs. All architects and landscape architects are invited to interpret the historical center of Abrantes as a dynamic and articulated unit with its surroundings, establishing relations of reciprocity in order to ensure significant human flows. The historic center should be seen as a fundamental bridge between the different parts of a city, creating a unique urban system. Concurso Internacional de Ideias para o Castelo de Abrantes | International Architecture Design Competition Castelo de Abrantes from oasrs.org on Vimeo. The competition is launched by the city of Abrantes, in partnership with the Association of Architects (OASRS) and is part of the program escolha-arquitectura (launched by OASRS this year) and aims to requalification and valorization of Abrantes Castle through the implementation of laser, cultural and touristic programs. Architects and Landscape Architects are invited to interpret the historical center as a dynamic and articulated unit with the surroundings, establishing relations of reciprocity in order to ensure significant human flows. The historic center should be seen as fundamental articulation element between the different parts of a city, creating a unique urban system, vital in medium-sized cities.